Penguin is one of two major algorithms that Google runs on its search engine. This particular one deals with link quality only. Sites that have purchased links, or got backlinks from low-quality sites could suddenly find the pages removed completely or massive ranking drops. Generally, most websites will not have to worry about the latest update to Penguin. If for some reason a previous webmaster or SEO bought links then this could be a cause for concern. This is because regardless of who caused the issue, Google holds the website responsible. The website needs to do periodic reviews and fix any issues. 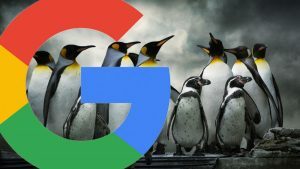 Google Penguin only looks at links coming into a site. Outgoing links are not a part of this at the moment. What you will need to do is a thorough review of all incoming links and their quality. When it comes to quality, look at the quality of the page, the content and the number of outgoing links. Do not assume because you get a link from a .edu domain that it is a quality link. Once you have a list of links that you believe are low quality, contact the websites in question and ask for removals. Most websites, if still active will generally remove on request unless they are part of a content farm that does not get incoming e-mails from the domain. Once you have no other choice, use the Google Search Console and submit a disavow file with a list of the links you don’t want to be counted. This should ensure that your site it safe from any automatic penalty.